This year Clay’s Golf and Guitars proceeds will provide seed money to establish the ArkLaTex 100 Club, Inc. in our community. The sole purpose of the ArkLaTex 100 Club, Inc. is to benefit our local police and firefighters on both sides of the State Line. The primary goal of this new 100 Club is to raise funds for the dependents of our first responders lost in the line of duty. Any remaining funds will be used to purchase any unbudgeted but necessary life-saving equipment and additional safety training. The featured live performer will be CMA Artist Winner and Texas Country Music Hall of Famer, Sonny Burgess. The concert and golf scramble are held on the same day and tickets can be purchased together or separate. You do not have to play in the golf scramble to attend the concert. About the Ark-La-Tex 100 Club, Inc.: The Arklatex 100 Club, Inc. was established by The Clay Eichler Memorial Fund and is closely patterned after The 100 Club of Houston. There’s not another organization in our region that provides these services to our area’s police, firefighters and their families. The Houston 100 Club started in 1953 when five men, Leopold L. Meyer, Ray R, Elliot, R.H. Abercrombie, William A. “Bill” Smith and Jim “Silver Dollar” West, came together in Houston, Texas to raise money to help dependents of Houston Police Officers who were killed in the line of duty. They encouraged 100 people to donate $100 with the proceeds going to help the fallen officers families. The organization has grown to over 30,000 members in the Houston area and in 2001 they expanded their benefits to provide for dependents of firefighters lost in the line of duty. The Arklatex 100 Club, Inc. will benefit dependents of Police Officers and Firefighters in the Arklatex area. Community members can purchase a membership to the Arklatex 100 Club, Inc. for $100 (or make a donation) through the Clay’s Golf and Guitars website – www.claysgolfandguitars.com. Charts Burgess has hosted the Nashville Fan Fair/CMA Music Festival and the International Music Awards. He has played the Grand Old Opry on several occasions and walked the Red Carpet at the American Country Music Awards. In addition he has played three times for former President George W. Bush during his campaign trail (twice in Iowa and once in Ohio). His catalog of albums includes four stellar releases When In Texas, Stronger, Have You Got A Song Like That and his newest addition All About The Ride. 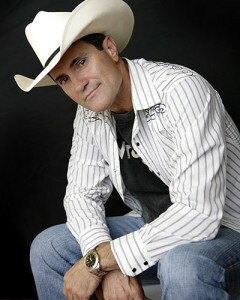 The constant flow of hit singles from these releases include “Cowboy Cool,” “The More I’m Around Some People (The More I Like My Dog,” “Jesus and Bartenders,” “When In Texas,” “Little Bit Stronger,” “She Don’t Make It Easy, “All Kinds Of Beautiful” and most recent “Dang Good Thing” from his latest release. Clay’s Golf and Guitars will be held at Northridge Country Club on Saturday, May 21, 2016. Tickets can be purchased on the Clay’s Golf and Guitars website www.claysgolfandguitars.com. Tickets on sale now.